New Delhi: Union Minister of Social Justice & Empowerment Thaawarchand Gehlot on Wednesday introduced the quota Bill in the Rajya Sabha amid protest by Opposition. The bill seeks to provide 10 per cent reservation in jobs and educational institutions to the economically weaker sections in the general category. Earlier, protests continued in the upper house on the last day of the Winter Session as the Opposition targeted government over its “midnight” session extension order. 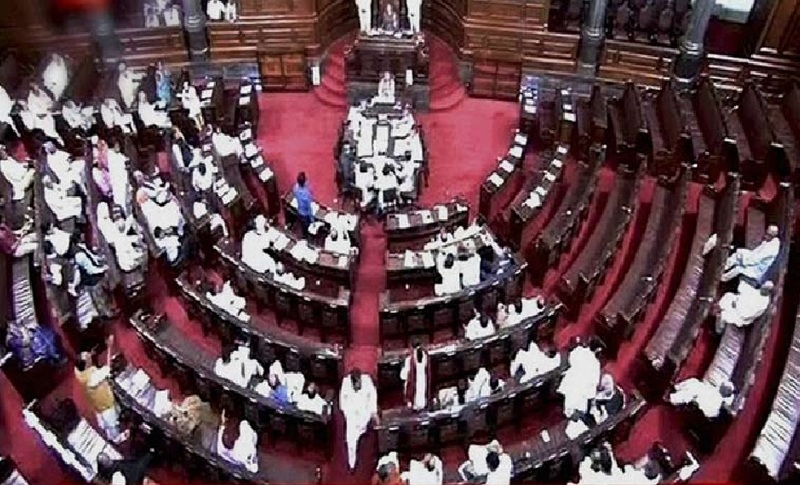 The proceedings in the Upper House were extended by a day amid Centre’s push for both the quota Bill and the Triple Talaq Bill.The uproar forced adjournment of the house till noon. Congress leader Anand Sharma accused the government of “developing a habit of bypassing the judicial scrutiny on sensitive bills.” He also said the session was extended without the consent of the Opposition. Finance Minister Arun Jaitley said the government had the authority to extend the proceedings of the House when it has to take up important bills. “The country expects the House to function,” he said. Parliamentary Affairs Minister Vijay Goel also requested the Opposition’s cooperation. The Opposition and the government are at war over the Triple Talaq Bill. While the government is keen to get the bill passed on Wednesday, the opposition wants it to be sent to the Joint Parliamentary Committee for scrutiny.